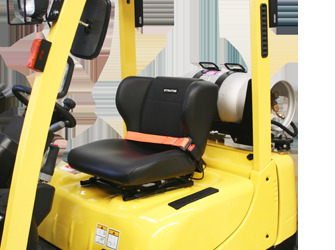 Research has consistently linked forklift driving with a high incidence or back pain and musculoskeletal injuries. Such injuries often stem from uncomfortable seats, bad seating positions and 'whole body vibration.' 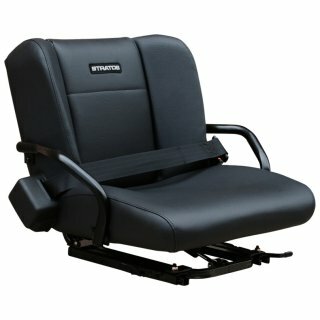 Stratos has the answer with its line of ergonomically designed Operator Restraint Seats. A Stratos ORS seat could save you and your company thousands in OH&S claims and lost time. 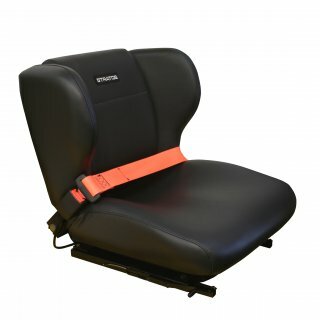 With over 15 years’ service in the Australian forklift industry, the Stratos 743 winged suspension seat with Integrated seat belt is a proven performer. The Stratos 743 has set the standard for others to try and match. The ride quality, comfort and durability of this seat make it outstanding value. This seat is well suited to lift trucks as well as skid steers. Available with bolt patterns to suit Nissan, Yale and Hyster. Note - Seatbelt can be removed on request. 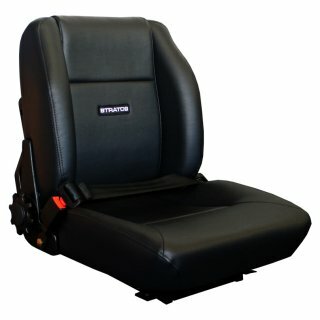 The Stratos 744 suspension seat with hip restraints is a popular choice for forklifts and aircraft tow tugs. The flatter and wider backrest design accommodates all shapes and sizes and can be installed with an Air Lumbar adjuster (optional). 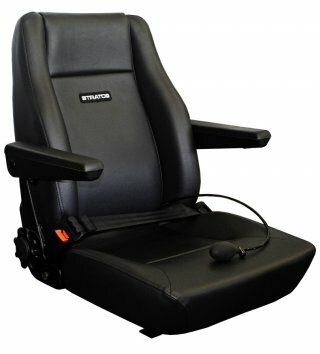 The Stratos 744 features hip restraints for side support and the backrest shape offers excellent support for drivers especially dursing reversing. Available with bolt patterns to suit Nissan, Yale and Hyster. Note - Hip restraints and seat belt can be removed on request. The Stratos 916 is our ultimate 'low-back' reclinable suspension seat. The 916 features a half height backrest and our LTSS suspension system which dramatically reduces harmful vibration. Vibrations are further isolated by Sisiara® webbing and thick foam cushion. A precise reel-type recliner mechanism provides accurate backrest adjustment. The 916 is also available with fold-up adjustable armrests. The Stratos 911 is our ultimate 'high-back' reclinable suspension seat. The 911 features a full height backrest and our LTSS suspension system which dramatically reduces harmful vibration. Vibrations are further isolated by Sisiara® webbing and thick foam cushion. A precise reel-type recliner mechanism provides accurate backrest adjustment. The 911 is also available with fold-up adjustable armrests.